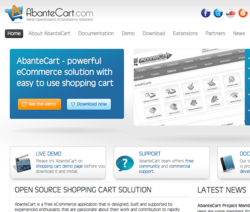 AlgoZone, Inc, has announced partnership with AbanteCart open source ecommerce project to provide commercial service with AbanteCart shopping cart application. Part of the exclusive arrangement, is AlgoZone offering market place with extensions and templates for AbanteCart application. Extensions are additional skins, plugins and services, to complement many standard features of AbanteCart. All extensions are delivered to AbanteCart users via convenient interface integrated right into application’s control panel. AlgoZone complies with all industry and AbanteCart standards to provide high quality ecommerce designs, extensions and services with seamless installation and upgrade process. In addition, any external developer or company can earn revenue by submitting extensions to be sold via AlgoZone eCommerce marketplace. About AlgoZone, Inc ( http://www.algozone.com ) AlgoZone Inc. is leading provider of ecommerce solutions, including ecommerce templates, custom design, usability, development and support. AlgoZone offers large selection of pre-made ecommerce designs and modules for many shopping cart solutions. The company is based in Hackensack, NJ, USA and provide global support from multiple offices in the world. AbanteCart is a free eCommerce application that is designed, built and supported by experienced enthusiasts that are passionate about their work and contribution to the rapidly evolving eCommerce industry. AbanteCart is powered with a robust and expandable core platform, state of the art feature set and a high performing user interface. This entry was posted in Which Open Source Blog and tagged AbanteCart, AlgoZone, Application, eCommerce, Exclusive, Open, Partnership, Source on February 25, 2013 by Administrator. Izo Brands recently launched Customizo.com, a state-of-the art eCommerce website that allows users to design custom products via innovative software and mobile applications. Part of an initiative that provides groups with a fun and easy way to communicate and collaborate throughout the design process, Izo has developed Groupizo. Groupizo is a social networking platform for groups, teams, organizations and businesses to connect, communicate, create and share product design ideas. Groups are given the option to collectively and individually share and edit each others ideas through Customizos Design Studio and an integrated online chat forum. Users have the options to upload and share their own designs or use any of the Customizos fully customizable templates. Group members can also vote on their favorite design, make comments and recommendations, upload additional designs, as well as share and edit an existing team members artwork. Upon the completion of a design, Groupizo offers individual ordering and shipping options, which greatly assists with otherwise cumbersome group purchasing and distribution undertakings. When all is said and done, every member has the option to be involved in every part of the design and ordering process. WIth Groupizo, groups can truly contribute to enhancing their own brands identity. Steve Pagni, Customizos Brand Manager, concludes, teams can create custom jerseys together, employees can help design and recommend logo placement on 100s of different products and organizations can creatively develop promotional t-shirts for events and fundraisers. About Customizo and Izo Brands: Izo is knitting the framework for the future of e-commerce with a multi-faceted set of innovative product customization and design tools, a unique group collaboration interface, and mobile media distribution applications. Its mission is to be the most customer-centric, creative, and innovative company in the custom apparel and promotional products industries. This entry was posted in Which Open Source Blog and tagged Collaboration, Design, eCommerce, Group, Platform, Unveils on February 20, 2013 by Administrator. IndyDutch Solutions has recently announced the release of a new online demo for their eCommerce solution, rediSell, now available at http://www.redisell.com. This rediSell demo features a brand new design and enhanced search functionality, as well as a fully integrated customer portal solution, rediPortal. These new features give SAP Business One users the ability to provide the best of breed online customer service with rediSell eCommerce. As a secure eCommerce and intuitive customer portal solution, rediSell, along with the rediPortal extension, gives customers the ability to browse inventory, place orders, and access account history information around the clock. rediSell users that utilize the new website design features and customer portal integration will distinctly separate themselves from their competition through a robust eCommerce site. Despite rediSell being a fully featured eCommerce solution, it is incredibly user-friendly and easy to manage with new administration features that make web store management easier than ever before. rediSell is a fully featured B2B eCommerce solution that provides customer specific catalog & pricing, customer specific checkout, custom site & store design, credit card processing, shipping system integration, and many other valuable features that all seamlessly integrate with SAP Business One systems. With the ability to support multiple languages, rediSell can be conveniently deployed around the world. rediPortal is now offered as a fully integrated customer portal extension for rediSell, allowing SAP Business One users to provide their customers with 24/7 secure online access to transactional data, such as order status, shipment information, invoices, payments, credit memos and account summaries. The rediSell team works alongside rediSell users to create a unique design for each eCommerce site. Unlike most eCommerce products, rediSell is not restricted to preset templates, which gives its users the opportunity to freely design their web store to match company branding. IndyDutch Solutions improves and expedites small business processes by specializing in software consulting and software development for SAP Business One systems. The IndyDutch Solutions team has been working with SAP Business One solution since the time it was launched. IndyDutch specializes in SAP Business One implementation and optimization, offers several Add-On Solutions for SAP Business One, and is well-known for their honesty, integrity, and commitment to delivering value in the SAP Business One customer community. SAP Business One is a trademark of SAP AG. IndyDutch Solutions and IndyDutch products are not endorsed by or affiliated with SAP AG. This entry was posted in Which Open Source Blog and tagged Business, DEMO, eCommerce, Featuring, Online on February 3, 2013 by Administrator. A new e-commerce and content management platform which supports both online stores and publishing has been launched by design and development agency Label Media. The Yetti platform offers agencies the flexibility to build websites for clients quickly and easily, on a secure and reliable infrastructure complete with on-going maintenance. This easy-to-manage system means clients sites give a smooth user experience across different devices, incorporating add-ons such as Facebook and YouTube and supports payment gateways PayPal and SagePay on a technically robust platform. Yetti also includes advanced search engine optimisation features which can help sites rank higher in search engines. Yetti was borne out of Label Medias frustration at maintaining sites, often e-commerce sites bolted onto other content management systems, which had been built and added to by different people over the years. Label Medias team also noted agencies irritation at having to manage the build of complex e-commerce sites, which were often restricted in their designs by the templates on existing software platforms. Maintaining e-commerce sites for various clients was also time-consuming. Some were out-dated and had been added to at various stages by different developers. So Label Media decided to build their own platform and make it resilient enough to cope with the unpredictable e-commerce market. They used it for themselves and transferred existing clients onto it. They were the first beneficiaries of a platform offering fast and flexible use, backed up by cost-effective on-going technical maintenance. Label Media also had a lot of fun coming up with an appropriate brand. There was a lot of discussion, says Director Richard Turnbull. But we decided on Yetti reinforced with a double t.
Yetis are cool and we wanted to create a brand that people could identify with. It’s a bit more quirky than others and we wanted to reflect a difference with our product. After five years of 24/7 use, customer feedback and tweaks, Label Media are confident theyve found an ideal solution, and are ready to share it. As a hosted service, Yetti comes with on-going technical maintenance and support on an affordable monthly service charge. Were now showing Yetti to various companies and the feedback has been very positive, says Simon Latham. Weve made it as cost-effective as possible, and companies appreciate all the training and support that comes with it. Yetti is equally accessible for big and small companies. Yetti Builder allows front end developers and designers to quickly build sites to their own specifications. The platform gives total creative control, so the designer is not tied to a predefined template as with many other e-commerce site models. The tried and tested cloud-based infrastructure makes the site easy to use and manage, whether the client is adding content, managing orders or taking payments. Companies who take up the Yetti service receive on-going, cost-effective high quality support, removing the maintenance headache. Whether a site is in the e-commerce or publishing world, or both, it shares the same administration system, which provides a smoother user experience. Because Yetti is centrally maintained, bugs are fixed and features added across the platform. Across the board updates are introduced routinely as part of the service, ensuring clients benefit from cutting edge technology. Its technically robust infrastructure, partnered with Rackspace cloud hosting, means the system can effortlessly and rapidly expand to meet demand. Clients can make use of APIs in Yetti: For example, if a large e-commerce site has its own management system to cope with price updates, they can plug it into Yetti and it can talk to it, says Richard Turnbull. Richard Turnbull says: Our main driving force is efficiency for us and the customer. As an agency ourselves we understand how important it is to produce high quality sites quickly and make sure theyre easy to maintain. This entry was posted in Which Open Source Blog and tagged Content, eCommerce, label, Launches, Management, Media, Platform on January 28, 2013 by Administrator. 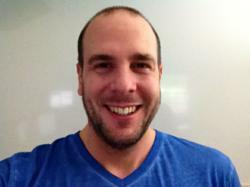 In the latest instalment of his highly informative weekly Internet business updates, SuperFastBusiness.com CEO James Schramko discusses the best ways to accomplish important marketing tasks that reap the most benefits for businesses like cementing one’s social media presence, effectively distributing press releases, and choosing the right e-commerce solutions. In addition, he announces Content Assault as the newest live training topic available at FastWebFormula.com, the Internet business coaching forum community he created to help intermediate to advanced online marketers learn and master the tricks of the trade. Receiving proper payment for online marketing services rendered poses a common and significant challenge for some business owners, especially if the service providers prefer to perform jobs upfront and collect payment afterwards. “The problem with things like web development or paid campaigns is that sometimes the job never finishes. Its very hard to close out jobs, especially web jobs; they just seem to stay open,” Schramko explains. “The best technique, of course, is to get paid upfront.” Choosing this strategy eliminates the concerns about debt collection, following up on customers who fail to respond immediately or forget to provide the information necessary to get the job donecommon headaches that come with running a small business. Next, the Internet marketing expert announces the latest live training topic available at FastWebFormula.com: preparing amazing content. Aptly titled Content Assault, every important aspect of content creationfrom authoring content to transferring them to different formats (text, PDF, images, video, or audio), from the actual process of preparing content to the tools usedis explored to teach marketers to produce good content for publishing on their websites and generating valuable traffic. Videos continue to be strong marketing tools as well, so it’s important to brush up on relevant video-making techniques. FastWebFormula.com also has informative training materials about choosing the correct camera, lens, microphone, lighting, and other components that help produce top quality videos. With the subject of content creation done, Schramko focuses next on ideal ways to gain solid social leverage. In making use of communities like Facebook, Twitter, YouTube, Pinterest, blogs, and forum posts, Schramko recommends using one’s real name and putting one’s picture on posts and updatesall the time. “If consumers constantly see you and your profile in the social media sites they visit, they’ll start to know who you are,” he shares. This would then be nicely accompanied by adding social widgets and links to the company’s various channels as well as a call to action encouraging people to visit its official website and join its newsletter to stay updated on developments and offerings. Finally, the Internet business expert relates how e-commerce stores will be huge in the near future, so retailers looking to make a profitable online venture can start exploring the best platforms to use. “WooCommerce gets the thumbs-up for WordPress-based e-commerce, while BigCommerce provides a hosted solution at a considerably pro level…The next one (the ‘big daddy’) is your own hosted version of Magento; somewhat expensive and difficult to use, but the best e-commerce platforms if you’re going to be doing millions of dollars’ worth of e-commerceand I hope you are,” Schramko encourages. This entry was posted in Which Open Source Blog and tagged Content, Creation, eCommerce, Exceptional, Featured, Gems, Internet, Latest, Leverage, Marketing, Media, More, Social, Solutions, SuperFastBusiness, Update on January 24, 2013 by Administrator. The site offers a variety of customization options, colors, textures, fabric styles and cuts to can choose from, all of which are updated frequently to reflect the current trends in menswear while taking inspiration from the classics. Knot Standard helps users to get comfortable with measuring themselves through a series of videos, photos and written instructions from master tailors. The process brings the customer through the measurement process all the way to check out. A once costly process involving a master tailor and several months of waiting has been revolutionized through this dynamic ecommerce platform. Bespoke suits are now made accessible to a larger, international market and at a fraction of the price; a Knot Standard suit ranges from $ 499 799, and arrive in three to four weeks. Each Knot Standard suit is cut by hand from a bolt of fabric, using no template patterns, to ensure the most accurate fit and that no two items are ever “standard”. The users unique measurements and past purchases are kept on file, making any future orders seamless. Each customer is assigned an advisor who will work with him to answer any questions or concerns, keeping the user abreast of all updates pertaining to his order. True Fit Measurement System: A user-friendly process complete with videos, photos, detailed instructions and tips to help guide users as they create their custom-made suits. Measurements can be taken at home via a friend or partner, by one of Knot Standards local tailors, or by using a customer’s favorite suit that can be sent in for replication. The measurements are digitally aggregated by the Knot Standard tailors to create the users digital model, with cross checking measurements to ensure perfection. Spin Photography: Knot Standard introduces 360 spin photography allowing users to see the fit of the suit from every angle, giving the customer a better understanding how each suit will move, drape, and fit when worn. Online Bespoke Advisors: Knot Standards Bespoke advisors are on hand 24/7 to assist with any and all requests. This includes suit selection, special requests, and tips on measurements everything from black suits to pinstripe suits for men. Each Bespoke advisor walks the customer through the process of choosing his perfect suit. Once the order is complete, the advisor proceeds to send status updates which include production photos depicting the meticulous construction process involved with the suit, all the way until the suits shipment date. This entry was posted in Which Open Source Blog and tagged Bespoke, Company, Debuts, eCommerce, Innovative, Knot', Online, Standard, Suit, Website on January 19, 2013 by Administrator. Winner of Microsoft Partner of the Year Ignify has announced a new version 6.3 of the eCommerce for Dynamics product with significant enhancements that reflect the companys focus on giving end customers a superior, user-friendly shopping experience, and merchants the ability to differentiate their online store from their competition. The tireless efforts of Ignifys product teams in designing and implementing cutting-edge technology enables us to deliver exceptional software solutions that complete meet a clients business needs, said Pankaj Kumar, chief technology officer of Ignify. Our teams proactive collaboration is responsible for Ignifys continued system innovation and development, and the reason why our organization has maintained our position as a global leader in the software industry. Credit Card Wallet is also supported in the module, making it possible for the customer to save a credit card during checkout via Quick Order Entry; the shopper can also use PayPal as a payment method while placing the order. The Quick Order Entry module also supports quantity-based pricing, enabling the price of items to instantly change when a shopper changes the quantity to be purchased. Backorder validation has also been added in the current release, allowing a store manager to configure it so that a shopper cannot add backorders products in his item master. Another engaging feature for shoppers is the Ignify eCommerce Store Locator. Configurable from the Ignify eCommerce Manager Panel, a store manager can enter the addresses of various store locations. The shopper can find the nearest store to a particular location and then find the direction using Google maps. The store manager can also add notes for a store, and make them visible on the user interface. By seeing the different brick-and-mortar store locations available, shoppers are encouraged to find and visit the stores in their vicinity to make purchases, thus saving the merchant on shipping costs and reducing the chances of returned goods. Ignify eCommerce also provides store managers with important tools for better online store management. With the latest product release, Ignify eCommerce provides an improved Catalog Management Module that offers easier navigation and search facilities to the store manager. The new web-based Catalog Management System is also cross-browser compatible, and supports tablet devices like iPad and Android tables. Product search in Ignify eCommerce Manager Panel has also been improved in the current release, enabling the store manager to more efficiently search for a product. With an alphabetical index search for product codes in the product listing page, a manager can simply click on a letter to quickly retrieve all products starting with that letter. In addition to alphabetical search, a manager can also filter products using various search conditions like product code, product name, template, attribute class, status etc. The latest release of ecommerce for Microsoft Dynamics provides seamless integration with Twitter and Facebook, enabling managers or customers to automatically tweet and post promotions. This connection between the e-commerce storefront and social media tools allows even a small business to grow its customer base via the Facebook wall or Twitter feeds. In addition to social media integration, Ignify eCommerces integration with the Microsoft Dynamics ERP suite makes this an especially crucial e-commerce solution for businesses. Specifically, Ignify eCommerces integration with Microsoft Dynamics AX is now Certified for Microsoft Dynamics (CfMD ) making it the only enterprise grade ecommerce solution that has achieved the CFMD. Certified for Microsoft Dynamics (CfMD) is a solution certification achieved by Microsoft Dynamics partners whose software solutions have met Microsoft Corporations highest standard for partner-developed solutions in delivering comprehensive business management systems. Ignify is winner of the Worldwide Microsoft Partner Award in 2012 and 2011 and offers ERP, CRM, POS and eCommerce solutions based on the Microsoft Dynamics line of products. Ignify has been included as the fastest growing business in North America for five years in a row by Deloitte, Inc Magazine and Entrepreneur Magazine. Ignify has over 300 team members worldwide including Los Angeles, Silicon Valley, Seattle, Nashville, Phoenix, Chicago, Toronto, Manila, Singapore, Pune, Jakarta, Bangalore and Hyderabad. For more information, visit http://www.ignify.com or call 888 IGNIFY5. Follow Ignify on Twitter @ignifyecommerce, or read its blog at blog.ignify.com. This entry was posted in Which Open Source Blog and tagged Dynamics, eCommerce, from, Ignify, Microsoft, Product, Release on January 13, 2013 by Administrator. Broadleaf Commerce, LLC, an open source eCommerce company, is pleased to announce the release of Version 2.0 of its enterprise open source eCommerce platform. The release is coupled with a new demo site named The Heat Clinic that can be used as the starting point for a Broadleaf Commerce implementation. The release includes updated documentation and a streamlined getting started approach that will help developers get up and running quickly, allowing them to focus on building their custom solution. The Broadleaf Commerce team incorporated many lessons learned over the last few years into Version 2.0. We made a number of architecture and usability improvements that include making it easier to get started and use Broadleaf Commerce, said Brian Polster, President, Broadleaf Commerce. We encourage our customers who are just starting their projects and those new to Broadleaf Commerce to start using Version 2.0 immediately. For those well into development cycles, we are working on a detailed migration guide from 1.6.x to 2.0. Product Bundles – Bundled products allow users to specify multiple products to be sold together at a discounted price. Auto-bundling is included so customers can add products one at a time and automatically qualify for the bundle pricing if the correct number of units are added. Product Options – Administration of products with variations is supported. For example, a product might include size and color options. Users can vary price and images depending upon the product options. Payment Provider Integration – Integration with payment providers has been simplified. Users can follow the recipe in Broadleaf Commerces documentation for the appropriate payment provider. Templating – Examples for building rich, Ajax driven UIs are available with the new Broadleaf Commerce demo. Thymeleaf is the templating engine for pages and emails, giving users improved support for HTML5 and additional options for UI presentation. For more information about Broadleaf Commerce, visit http://www.broadleafcommerce.com. Follow Broadleaf Commerce on Twitter @broadleaf to stay informed about the latest news. Broadleaf Commerce, LLC is a privately held company committed to providing businesses with core functionality required for online transactions while significantly reducing costs and improving efficiency. Broadleaf Commerce, an open source alternative for enterprise eCommerce, uses the widely adopted Spring Framework. The open source business model yields a product with a flexible and extensible framework and is easily customizable for specific business needs. This entry was posted in Which Open Source Blog and tagged Announces, Broadleaf, Commerce, eCommerce, Enterprise, Open, Platform, Source, Version on January 12, 2013 by Administrator. 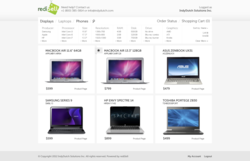 RocketForce.NET’s new online storefronts make it easy for any retailer to get setup and start selling online. “I have been developing the e-commerce system for the past 6 years. I built the new feature as part of our in-house template engine, giving us the ability to churn out fully functional online stores for a fraction of the price,” CEO Aaron Moon Reports. For each client that signs up, the company does an initial product setup and provides monthly marketing. “With places out there like Volusion, GoDaddy and Intuit offering online stores for next-to nothing, we always wondered why everyone that needs an ecommerce website doesn’t have one. After doing market research and working with our clients, we realized that most businesses are too busy to setup, manage and maintain there own website. We realized that the average business owner finds it very difficult to make money from running a business online without having an effective Internet marketing campaign. It takes a continual effort, which is why we provide monthly marketing services to all of our clients,” COO Blake Warner reports. Each e-commerce system includes a content management system that allows clients to manage and maintain orders, customers, products and communications. “You need to have the right tools to get the job done. Our e-commerce system comes with a fully functional order, product, customer and content management system, making it really easy for clients to manage there website. From within their admin, each client can configure currently running sales and choose to have them emailed out to their user base,” Reports CEO Aaron Moon. “Our online storefronts are setup with a design that not only looks good, but makes it easy for users to find and purchase what they are looking for. It takes more than a bunch of features to have a successful online store, if someone lands on your website and they don’t understand what it is or where to go, your conversion rate is going to be very low,” COO Blake Warner reports. To help with conversions, RocketForce.NET is currently providing free website design for all new clients that sign up for monthly services. RocketForce.NET’s online storefront, unlike others of it’s kind, does not use a tiered price point based on the number of products the business sells. “It doesn’t make any difference to us if a business wants to sell 10 or 500 products, the monthly cost is the same.” (Reports CFO Mike Moon. Competing web development firms use a tiered pricing structure for charging clients. This standard was initially one of the inspirational backings to RocketForce.NETs implementation of the new Ecommerce system and monthly services. We believe in being fair. When our competition is doing something unnecessary while costing the client more, we are going to capitalize off it, CEO Aaron Moon Concludes. This entry was posted in Which Open Source Blog and tagged Development, Diego, eCommerce, Firm, Introduces, Revolutionary, System on January 8, 2013 by Administrator.